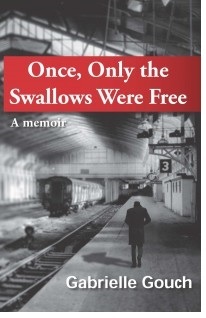 Once, Only the Swallows Were Free is a literary memoir, published by Hybrid Publishers. It is the story of a family from Transylvania, a region of Romania, during the most turbulent times of the 20th century. It explores issues of identity and family relationships against a background of the major political events of the time. Twenty five years after I left my native land, communism fell and I set out to find my half-brother Tom, with whom I had lost contact. Tom, the young boy with a limp, I spent my childhood with, was now an erudite man, stuck as a gateman, punishment for his social origins. In a cosy room with red Persian carpets and photographs of his mother, who died giving him birth, he told me stories about his life under communism, sad and funny stories which needed to be told. I interleave these with stories of the rest of the family, a riches-to-rags saga, then their eventual emigration to Israel. Not the Land of Milk and Honey for them, but hard work, poverty, relentless heat and wars. This story moves beyond the life of a family, it depicts neighbours and friends, communist authorities and everyday people, colourful characters who breathe life into the times. Please have a look at the excerpts, see if you like the writing and the atmosphere it conveys. The book is available from bookshops and the usual websites both in paper and ebook. Gouch’s writing style is picturesque. It is filled with glorious anecdotes and written with fiction-like narrative flair and its overall impact is a beautiful story, notwithstanding the trauma it describes. Nicolette Snowden, Eras Journal, published by Monash University. This is a story that had to be told: ripples of history from a unique time and place via one family’s journey from the ravages of World War II in Transylvania to the desert fringes of the fledgling state of Israel and, for the narrator, on to Australia. The book is available at Amazon, Barnes & Noble, Book Depository, Booktopia and others. It is also in good bookshops in Australia eg Abbeys, gleebooks, The Constant Reader, Berkelouw (Cronulla & Rose Bay) in Sydney, Readings and avenue bookstore (Albert Park) in Melbourne and nla bookshop in Canberra.